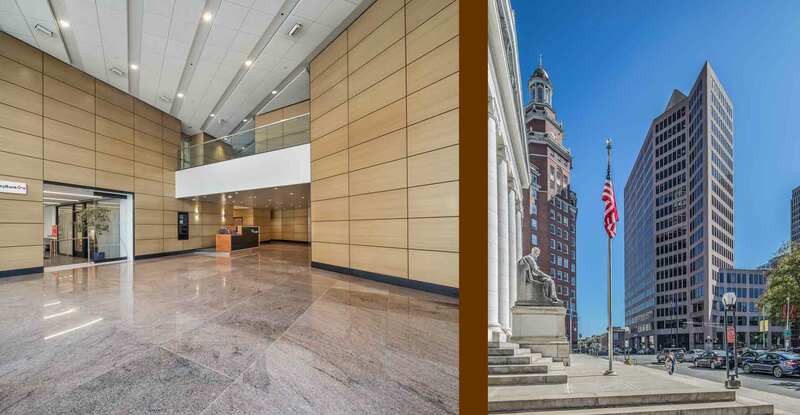 Constructed in 1974 as the New Haven Savings Bank building, the 18-story office now known as 195 Church Street is undergoing modernization to help increase its rental potential. After a series of bank mergers, the 244,000 square foot building was purchased by Northside Development Company in 2015. At the time, it had a 40% vacancy rate. 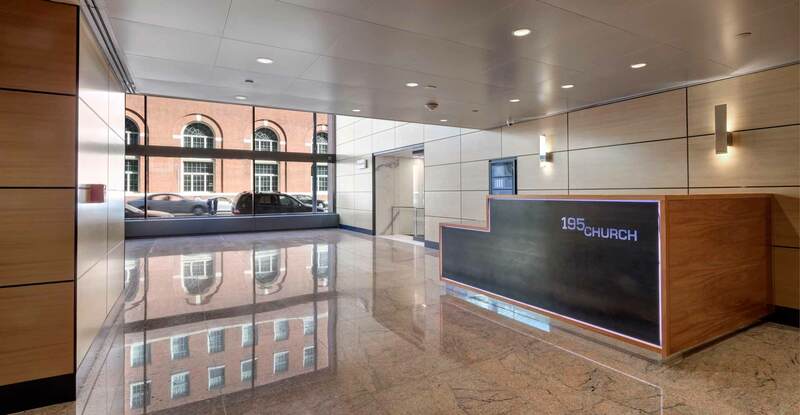 The owner contracted Kenneth Boroson Architects to upgrade the building’s interiors, starting with the main lobby. 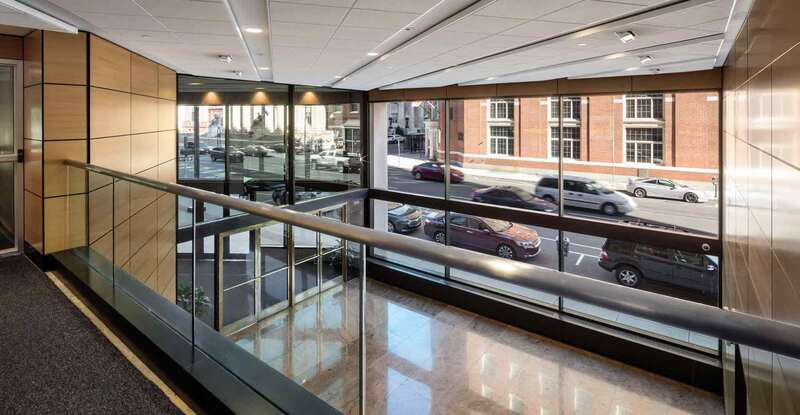 Our firm’s redesign of the lobby and first floor mezzanine included reconfiguration of the floor plan and the addition of warm, contemporary wood wall panels. The upgraded flooring features polished Stony Creek granite, sourced locally in Branford. 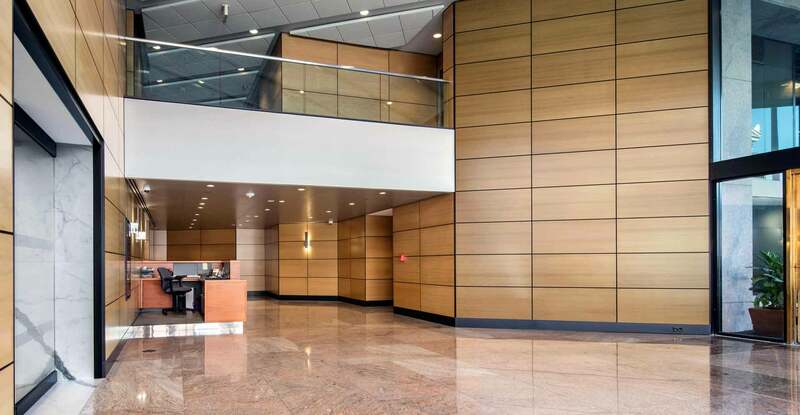 The reconfigured floor plan relocated the lobby’s security desk to a centralized location within the large space, which allowed construction of a new entrance directly into Key Bank. 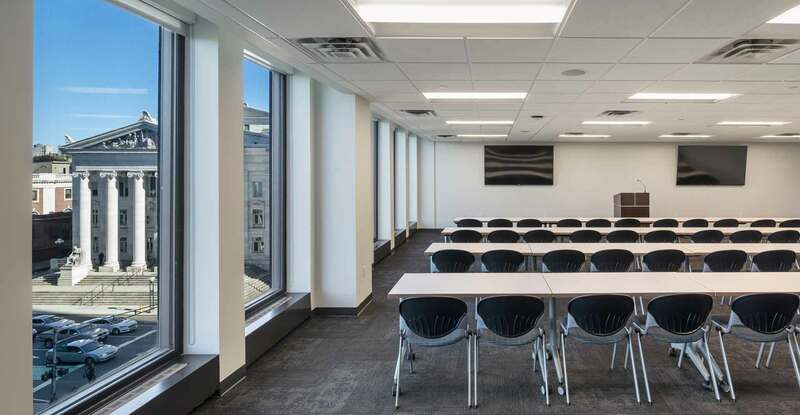 This floor plan also accommodates a new ground-floor Starbucks, with entrances directly from Church Street as well as from within the lobby. 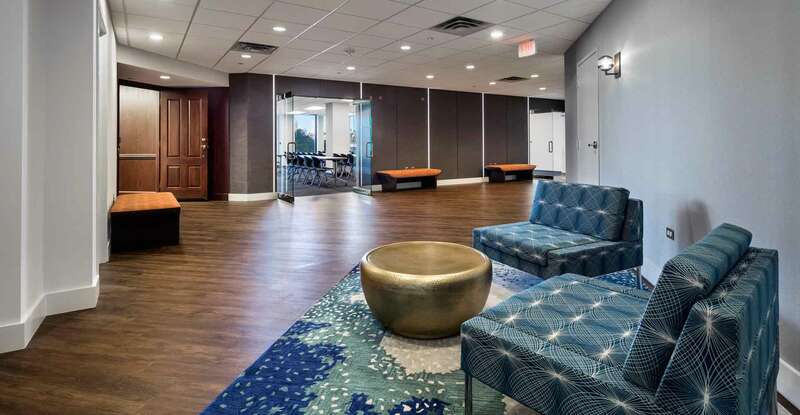 The final phase of the lobby renovation was completed in Spring, 2018. 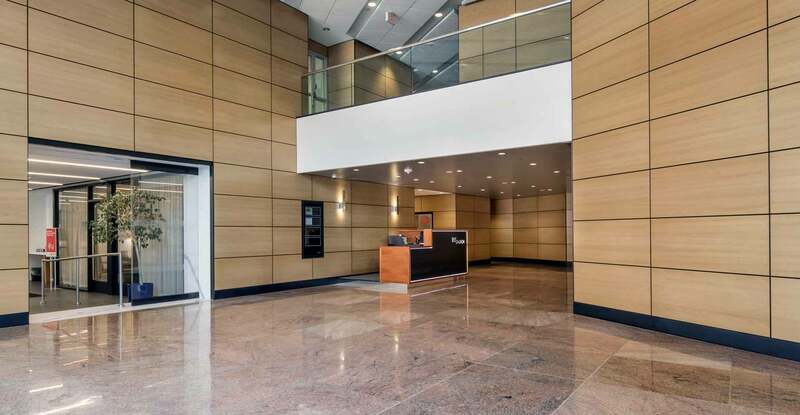 Our firm has also been contracted to complete tenant fit-outs to several other office suites within the building. 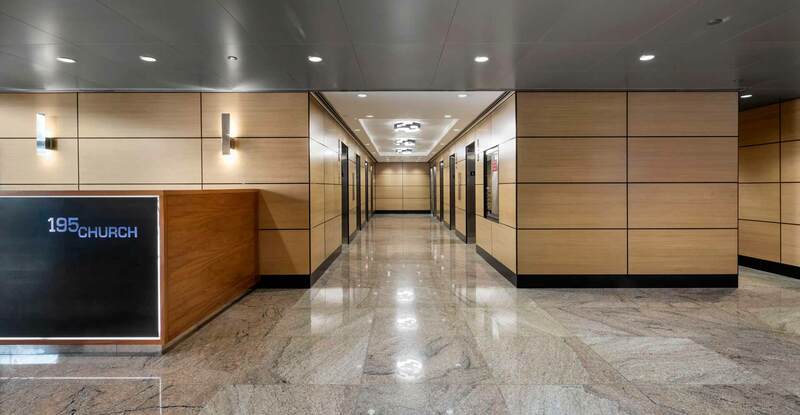 Examples include renovation of a corporate conference/seminar room and modernization of an elevator lobby/waiting area.